HTC was once one of the best & most popular smartphone manufacturers, but due to the mistakes made in the past few years, the company is now struggling to get back the same spot. Last year wasn’t too great for the company has its phones failed to sell as good as expected. The shipments reduced to more than half in the Q4 2017 as compared to the Q1 2017. The company shipped 1.5 Million units in Q1 2017 but the number reduced to 0.5 Million in the Q4 2017. In case you don’t know, HTC’s best smartphone of 2017, the HTC U11+, launched in Q4 2017. When Google acquired the HTC’s R&D unit for 1.1 Billion USD, it was rumoured that there wouldn’t be any more HTC smartphones in 2018. But, it was good news for every HTC fan when the company announced a new flagship launch on May 23. Today, the HTC U12+ launched as the company’s high-end device of 2018 and this smartphone is going to compete with the phones like Galaxy S9/S9+, LG G7 ThinQ, OnePlus 6, Huawei P20 Pro etc. There are a lot of new features added to the device, some of which are pretty new for an HTC flagship. Talking about the design, most of the design remains unchanged as compared to the HTC U11+ as the HTC U12+ has the same ‘Liquid Surface’ design. Just like last year, there is a variant with a translucent back, which lets you have a look at the internals of the phone. HTC introduced something new this time – Pressure Sensitive Buttons on the side. We know that the company is doing this Squeeze and Pressure Sensitive thing from last year, but with the HTC U12+, there are no physical buttons at all. In fact, the ones that are on the side are pressure sensitive and result in haptic feedback when pressed. The frame is pressure-sensitive, which can be used for all the squeeze functions but this time, the company added some new features like tap and hold. Users can double tap on either side to get the one-handed mode. The gestures are customizable, so you can also set the double tap to go back. Holding the sides will avoid the unnecessary rotation of the display (when Auto Rotation is turned on) even if you shift from portrait to landscape mode. This is something we all have faced, but this time, HTC decided to add a separate feature that fixes this issue. You can also avoid any Screen Dimming by using the same Hold feature. Then there is the squeeze feature from last year that lets the user launch voice assistant, Edge Launcher, and more. Just like the HTC U11 and U11+, the U12+ lacks the 3.5mm headphone jack, and there is only the USB Type-C port. The company, however, has included the Usonic Type-C headphones inside the box, which is a good thing. There is a dual rear camera setup, something we missed in past couple of years on the HTC devices. This time, the company has added dual cameras on the front too, for some nice wide-angle selfies and portrait mode images. The fingerprint scanner is present on the rear. There is a Hybrid SIM slot which can either take two SIM cards or a SIM card and a micro SD card. 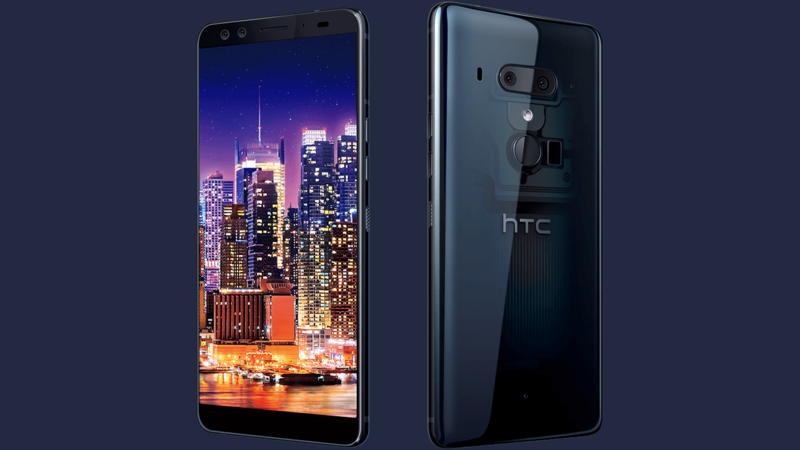 Coming to the specifications, the HTC U12+ has a 6-inch Super LCD 6 Quad-HD+ display with 18:9 aspect ratio and a resolution of 2880 x 1440 pixels. The pixel density is 537 PPI, and the display also supports HDR10. Powering this phone, there is an octa-core 2.8Ghz Qualcomm Snapdragon 845 processor along with 6GB RAM and 64/128GB internal storage. The storage can be expanded up to 2TB via microSD card slot. Android 8.0 Oreo runs out of the box with the HTC Sense skin on top. Coming to the cameras, the HTC U12+ is the second best camera smartphone as per DxOMark score as the device scores 103 overall. It falls short of the current leader of the DxOMark ratings, i.e., the Huawei P20 Pro (109). The rear camera setup includes a primary 12MP (1.4μm, f/1.75) wide-angle camera & a secondary 20MP (1.0μm,f/2.6) telephoto lens with HTC Ultrapixel 4, Ultraspeed Autofocus 2 (Laser AF + PDAF), 2X Optical Zoom, HDR Boost 2, OIS, Bokeh Mode, Dual LED Flash, AR Stickers, Face Detection, RAW support and more. The rear camera setup can shoot up to 4K videos at 60 FPS and 1080p slow motion videos at 240 FPS. Some video recording features include Sonic Zoom, Audio Boost, 3D Audio recording with four microphones, 8 megapixel still photos while recording 4K video, OIS+EIS, High-quality audio recording, 96kHz, 24bit, Hyperlapse, AR Stickers etc. On the front, the HTC U12+ has a dual camera setup that includes dual 8MP sensors with 1.12μm pixel size and f/2.0 aperture. The dual front cameras offer 85-degree wide angle video, Bokeh Mode, AR Sticker, HDR Boost, Face Unlock, Screen Flash, and more. The front camera can shoot 1080p videos. HTC devices feature some seriously good Audio features, and the U12+ is no exception. It has HTC USonic with Active Noise Cancellation, Hi-Res Audio, Qualcomm aptX HD, LDAC up to 32-bit high-resolution wireless audio via Bluetooth and more. The HTC U12+ is IP68 dust and water resistant and packs a 3,500mAh battery under the hood that supports Qualcomm Quick Charge 3.0 with the charger included in the box. It is a disappointment that there is no Wireless charging. Other features include Bluetooth 5.0, NFC, HTC connect, USB 3.1 Gen 1 Type-C, Wi-Fi: 802.11 a/b/g/n/ac (2.4 & 5 GHz) with MU-MIMO, GPS, GLONASS, Galileo, BeiDou, Cat. 18 Gigabit LTE, download up to 1.2 Gbps, upload up to 150 Mbps etc. 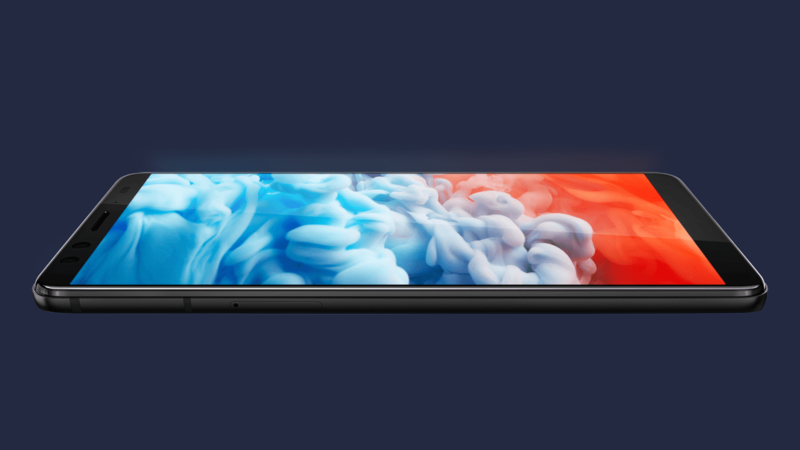 Finally, talking about the pricing and availability, the HTC U12+ comes in three colour options – Translucent Blue, Ceramic Black & Flame Red. Pre-Orders start from today in the US. Talking about the pricing, the 64GB variant is priced at $799 while the 128GB variant is priced at $849. Do you think HTC is right with this pricing? Do let us know via the comments section.